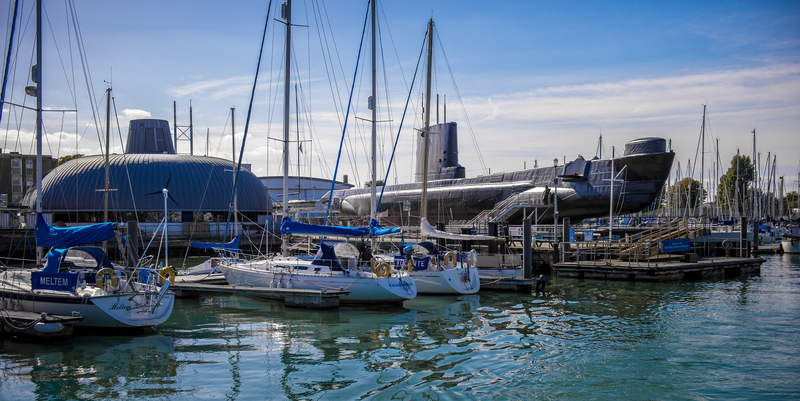 ALLIANCE is well-positioned to illustrate a key development in the Royal Navy - the change in the relationship between surface forces and submarines. 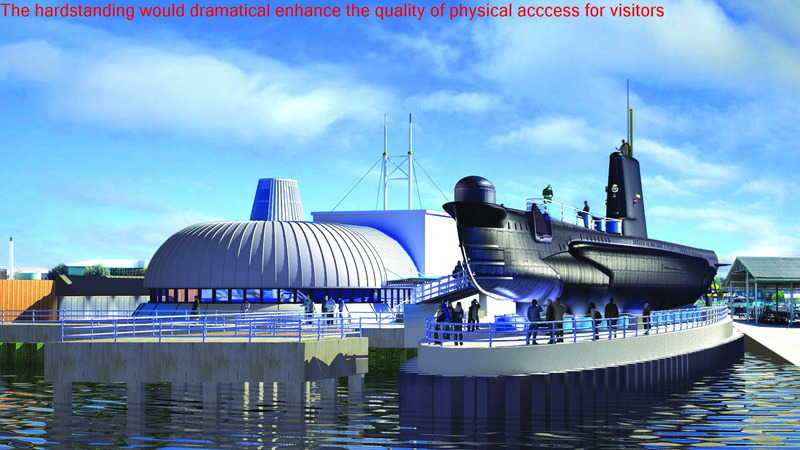 The rapid development of nuclear propulsion gave the submarine the size and general characteristics of a capital warship, while the combination of this propulsion technology with long range ballistic missiles capable of being fired when the vessels were submerged provided the Royal Navy with the means to become the nation’s primary nuclear deterrent and thus, since the 1960s, the central plank in the country’s nuclear defence strategy. ALLIANCE is able to suggest something of the general character of social and working life and personal experience for crews in the extreme conditions of today, which allow these submarines, armed with their lethal cocktail of massively destructive ballistic missiles to proceed submerged at or near to their maximum speed for almost indefinite periods. By reason of her age and long and successful service history she is of course uniquely equipped to portray the same for earlier generations of submariners. ALLIANCE sits almost exactly at the mid point in the extraordinary technological revolution in submarine design and operational effectiveness which in the century or so from the first dawning of a submarine arm, with HOLLAND I, saw these craft grow from what was virtually coastal defence vessels into capital warships capable of deterring the launching of a nuclear assault on the homeland, and of mounting a potentially decisive attack on the seaborne commerce of an enemy. ALLIANCE possesses great interpretative potential in terms of what it can portray of the decisive part played by this powerful new factor in maritime warfare, both in prospect and retrospect. In addition, as one of the class of the first all-welded under-sea vehicles, ALLIANCE is not without considerable technical interest both intrinsically and for what her form of construction illustrates about the rapid strides that had been made in welding in general shipbuilding practice during World War Two. 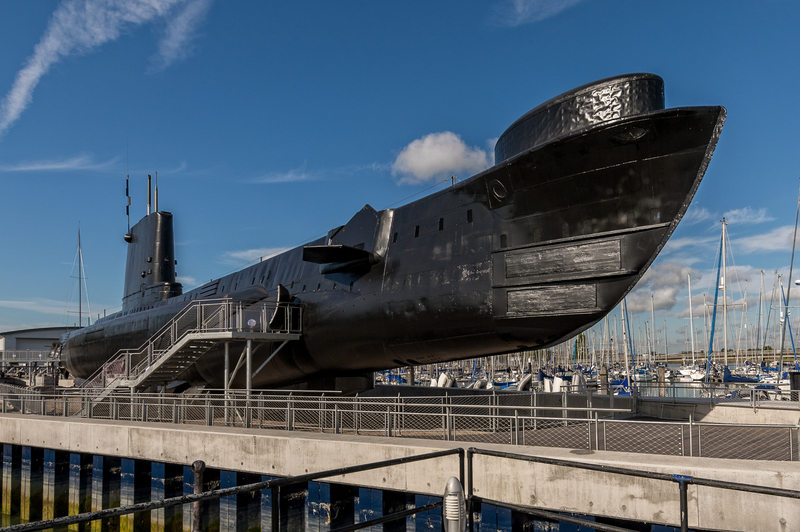 HM Submarine ALLIANCE is the only survivor of the successful “A” class submarines designed during World War Two for operation primarily in the Far East, and to replace the smaller “T” class boats which had been in service from 1937. Plans were approved for this class in 1943, but only 16 vessels were built. 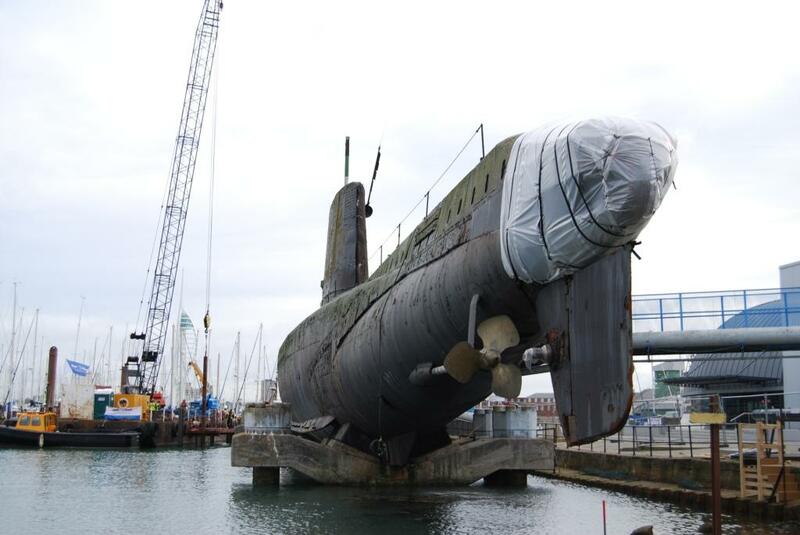 The “A” boats were the first submarines of all-welded construction and they were built in both commercial shipyards and in the Royal Dockyards. The change from partial to completely welded hulls speeded up the construction period - which averaged eight months per boat – and enabled them to be built in large prefabricated sections. These were then welded together in sequence on the slipway, in the modern way, but the added structural strength gained by welding the hulls allowed the boats to dive much deeper. The “A” boats were in production between 1943 and 1947 and were therefore delivered too late for the war effort. ALLIANCE was the tenth to be built and was commissioned in May 1947. These boats were completed in five different forms reflecting the rapid changes taking place in submarine development. Their general dimensions were broadly identical and ALLIANCE’s twin diesels gave her an original full surface speed of some 18.5 knots (8 knots submerged), and a range of 10,500 miles, at 8.0 knots, (16 miles submerged at 8.0 knots, or 90 miles at 3 knots). She had a complement of 5 officers and 63 ratings. As built, ALLIANCE was equipped with six bow torpedo tubes, four stern tubes and carried a total of 20/21 inch torpedos. During building, she was also fitted with a SNORT mast (a device brought into use by the Germans towards the end of the war), to admit air to the diesel engines thus permitting them to run normally and to charge the batteries whilst the boat was at periscope depth. She was selected to conduct a trial of this device on extended patrol in tropical conditions. Between October and November 1947, ALLIANCE covered some 3000 miles off the coast of West Africa on this exercise, and although various problems were encountered, the trial was generally successful and established a record for the length of time a submarine remained submerged. The “A” class entered service with the RN against a background of rapid technical change and the boats were progressively modified to meet new requirements and to take advantage of new technologies. Thus, during an extensive refit between 1958 and 1960 the external tubes were removed, leaving four tubes forward and two aft with a total of ten reload torpedos. This gave her an improved submerged speed (10 knots), making her quieter, and more difficult to detect by the new increasingly effective types of anti-submarine sonar, while new batteries also extended her submerged endurance. 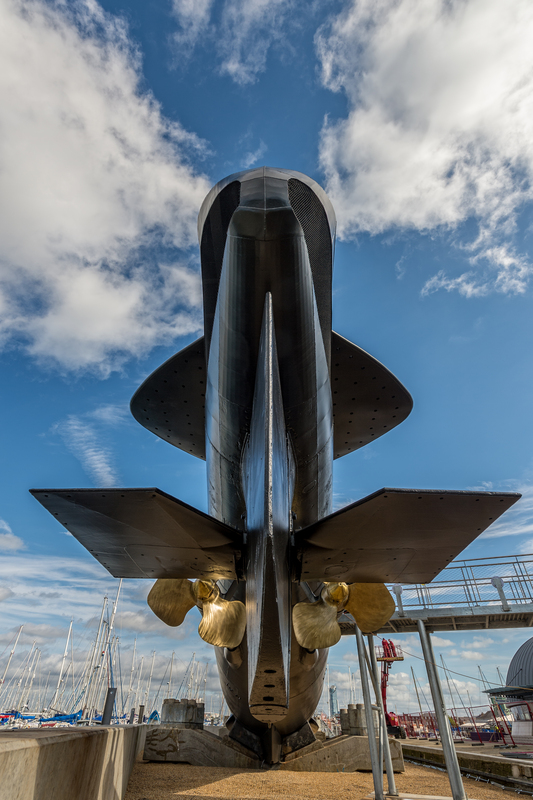 All the surviving “A” class submarines underwent this modification during the late 1950s, when new lightweight aluminium superstructures were also fitted and conning towers were raised, enclosing the periscope standards and radar masts to form a fin over 26 feet high, giving craft their characteristic streamlined appearance which is retained in the preserved ALLIANCE. During this and subsequent refits, internal modifications were also carried out which included modernising the control room layout, fitting automatic depth-keeping devices and an increasingly sophisticated array of radar, navigational and communications equipment. The “A” class gave staunch service well into the 1970s. ALLIANCE was formally withdrawn from active service in March 1973 to become the static display submarine and classroom at HMS DOLPHIN. 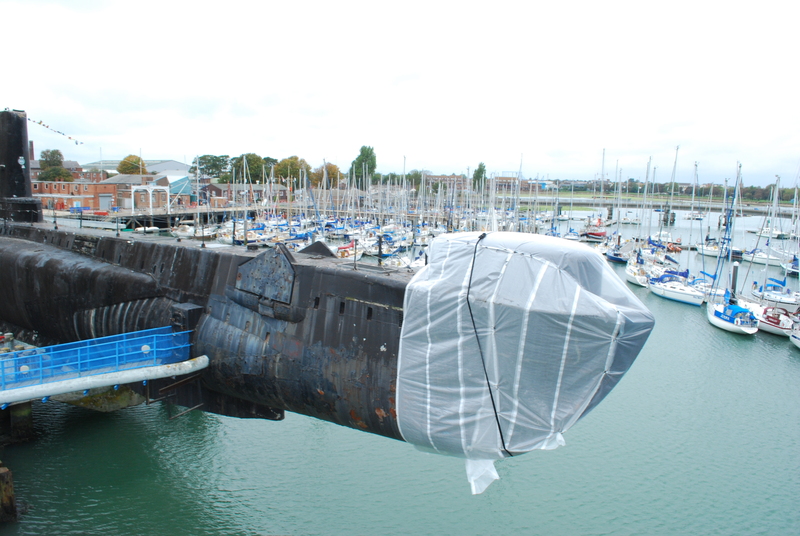 In 1978, the decision was taken to prepare her for permanent display. 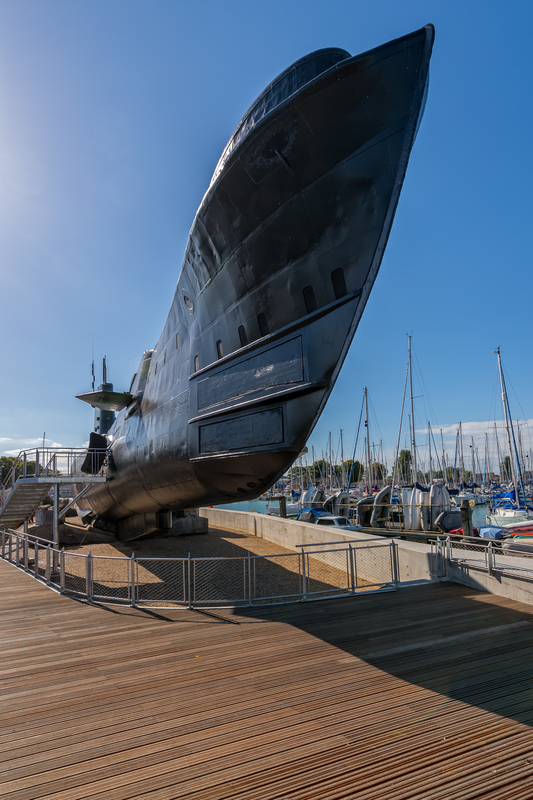 She was passed to the RN Submarine Museum in Gosport where, since 1981, she has rested as a permanent memorial to the 4334 submariners who lost their lives on service in both world wars, and to the 739 officers and men lost in peacetime submarine disasters. Source; Campbell McMurray, Advisory Committee, March 2009. 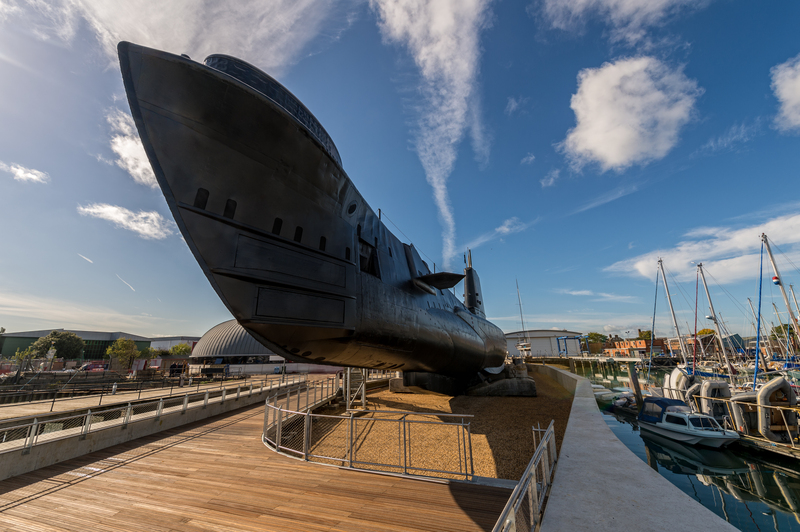 In 2011 Alliance along with the Royal Navy Submarine Museum formally became part of the National Museum of the Royal Navy.